Jose Mourinho has admitted that Zlatan Ibrahimovic forced him to change his opinion on strikers during the Swede’s dry spell up front. 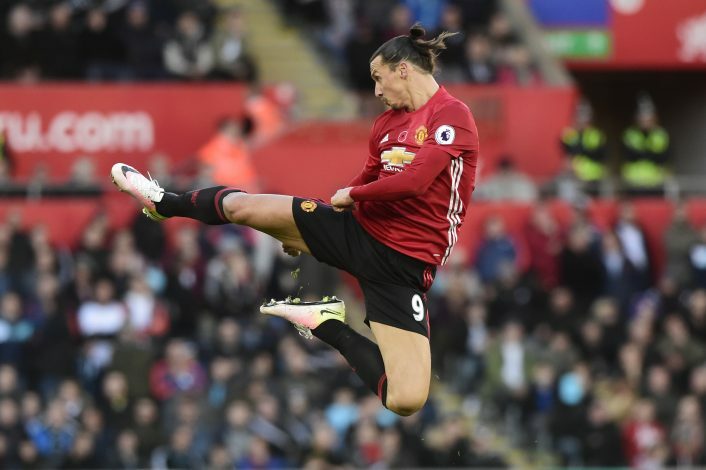 The Manchester United manager used to believe that being a striker was all about putting the ball into the back of the net, but he has now claimed that Ibrahimovic’s recent performances have shown him otherwise. Despite making a brilliant start to life as a Manchester United player in the Premier League, with four goals in his first four appearances, the 35-year-old then went six games without scoring – his longest league drought in front of goal since 2010, when he failed to find the net in five consecutive Serie A games for AC Milan. He brought an end to that barren spell with two well taken goals against Swansea City at the Liberty Stadium on Sunday. After the game, Mourinho admitted that even though Ibrahimovic was not scoring, he was doing everything that was required of him from the team. Speaking to MUTV, Mourinho said: “I used to say that a striker who doesn’t score goals and does nothing else is one player less. “But a striker that doesn’t score goals but does everything else is a very important player for the team. He wasn’t scoring goals but he was doing everything else. “He was working defensively, in the build up and the second phase of the attack, he was giving assists and contributing towards the goalkeeper that was playing against us always being the man of the match.